The 2017 Best of Awards is the annual show Cars.com hosts in Detroit during the North American International Auto Show. This year's categories include Best of 2017, Best Pickup Truck of 2017, Eco-Friendly Car of the Year, Family Car of the Year, Luxury Car of the Year and Play Car of the Year. Each car represented on the list excels in three key criteria; quality, innovation and value. All vehicles are 2017 models and Best of 2017 nominees must be all-new or fully redesigned. According to Cars.com, "Look at this thing: It's pretty. Next, drop the top, rev the engine, listen to the sweet 1.4-liter engine, find a twisty road and see if your cares disappear with the wind. 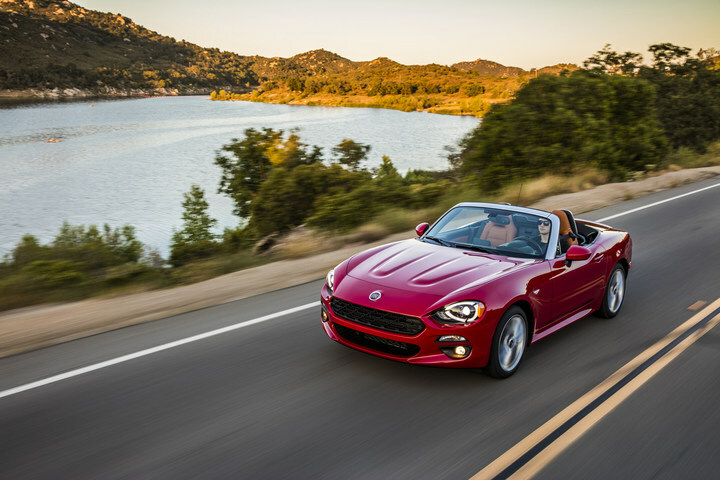 We're betting they will, and that's why the Fiat 124 Spider is our Best New Convertible of 2017." The roadster comes standard with the proven 1.4-liter MultiAir Turbo four-cylinder engine, the engine's first application in a rear-wheel-drive vehicle. The engine delivers 160 horsepower and 184 lb.-ft. of torque on Classica and Lusso, 164 horsepower and 184 lb.-ft. of torque on Abarth, and is available with a six-speed manual transmission (26 mpg city/35 mpg highway) or a six-speed automatic transmission (25 mpg city/36 mpg highway). The Fiat 124 Spider has a double-wishbone front suspension and rear multi-link suspension with stabilizer bars, and tuned electric-power steering system for enhanced handling and fuel efficiency. Available safety features include Blind-spot Monitoring, Rear Cross Path detection and ParkView rear backup camera. Available technology and convenience features include passive entry with keyless go, Bluetooth connectivity, heated seats, and FIAT Connect with access to Pandora, Stitcher and Aha apps.